Horizon Healthcare Staffing is one of the premier nursing agencies in New Jersey. Our company prides itself on being one of the leaders in temporary and permanent staffing opportunities for nurses. Our client base include: private, public and charter schools, hospitals, long term care facilities, insurance companies, home care, and other healthcare facilities. Our teams of nurses embody the ultimate in skill and professional development within the nursing community. We believe that it is only through blending skill, expertise and critical thinking with care, compassion and personal relationships that nurses can fully connect with a patient. Horizon Healthcare Staffing can offer you great nurse jobs in New Jersey, while providing you with the tools to succeed. Comprehensive training sessions for nurses are conducted on a daily basis, ensuring that you have the most current knowledge and are well equipped to excel in your nurse job. 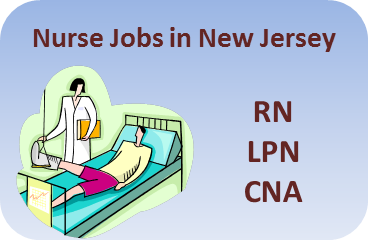 Horizon Healthcare Staffing currently has job openings in NJ for Registered Nurses (RNs), Licensed Practical Nurses (LPNs), and Certified Nursing Assistants (CNAs). Please click on one of the nurse jobs below for available positions within your area of practice.